The days are dark; night creeps in early; there is frost in the air. I'm not a fan of winter. 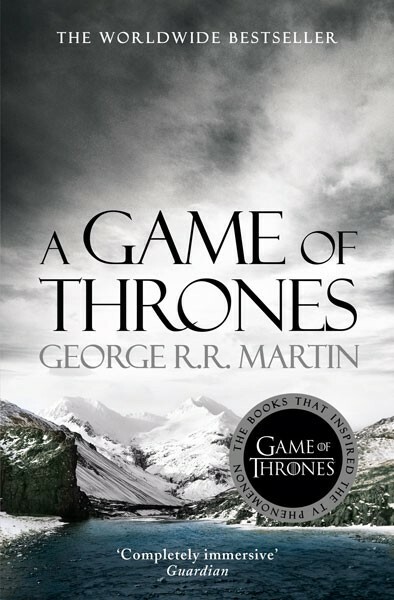 (I always get that frisson of dread whenever the Starks declare “Winter is Coming” in George RR Martin's Game of Thrones. And I don't live anywhere near any Wildings.) Partly that's because British winters are grey and damp, rather than snowy and crisp. But while the reality of crawling out of bed on a dreary, dismal morning doesn't grab me, winter in children's fiction is a different thing. Snow. Woods. Wolves. A crackling fire. Stark leafless trees. Shadows everywhere. This I enjoy. That sense of threat is also there in The Dark is Rising by Susan Cooper. Ostensibly it's the fantasy “Dark” that is the danger, but much of the menace comes from the weather itself: the snow that falls and falls, the numbing cold, the village community that is slowly being cut off so that finally everyone has to take refuge in the old manor house. Yet winter doesn't have to be about deep woods and rural landscapes. 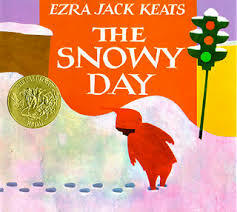 As a very small child, I was transfixed by Ezra Jack Keat's The Snowy Day, which uses an urban setting to explore the feelings of fascination and wonder of a small child confronting something as amazing as SNOW. It's something about the simplicity and immediacy of this book that makes it so effective. 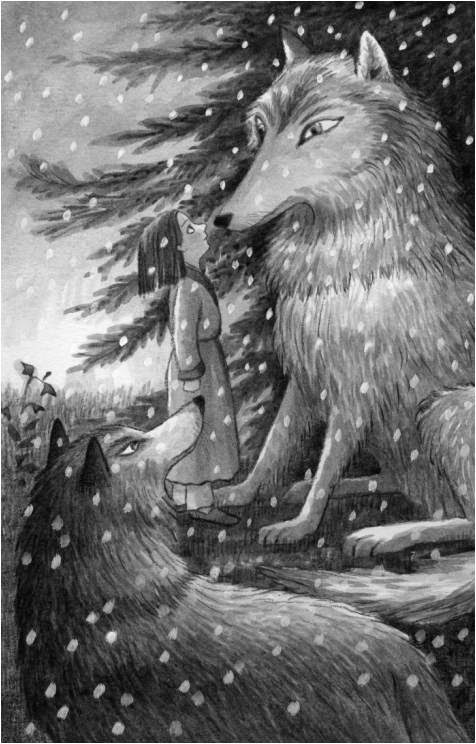 In general though, winter seems to be about magic, rather than real life, for children's authors. Maybe it's because it reasserts the power of nature – of snow, storms, the biting cold – in a way that makes us feel less sure of our human technology, more aware of the power of our natural surroundings. In the depths of winter, it is easier to believe in supernatural forces. Perhaps we feel less in control, more in touch with the past, more in need of help? 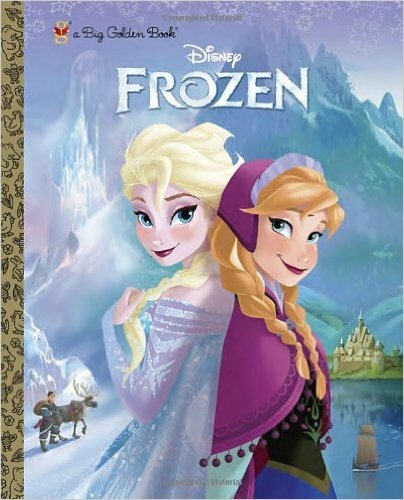 This link between winter and magic seems so strong that it even percolates into adult literature. Most mainstream adult fiction keeps its distance from the magical, but the bestselling The Snow Child combines the setting of Alaska and a pioneering couple determined to make a life there (almost Laura Ingalls Wilder in its way) with a traditional fairytale fable, when they meet a child who seems strangely at home in the icy landscape, and surely possessed of magical powers. A Russian folk tale is the inspiration for the story, and is just one of those included in the classic collection Old Peter's Book of Tales by Swallows and Amazons author Arthur Ransome. 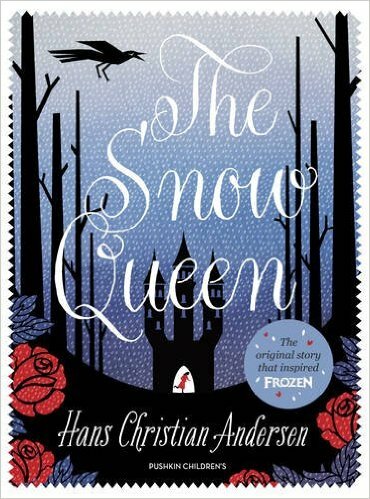 The Snow Queen, the most wintery of fairytales, is still going strong of course. 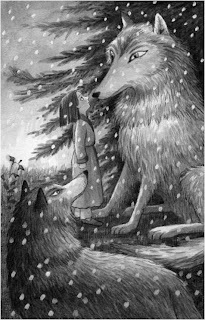 Wolves, forests and fairytales were all at the back of my mind when I wrote my book Wolfie. 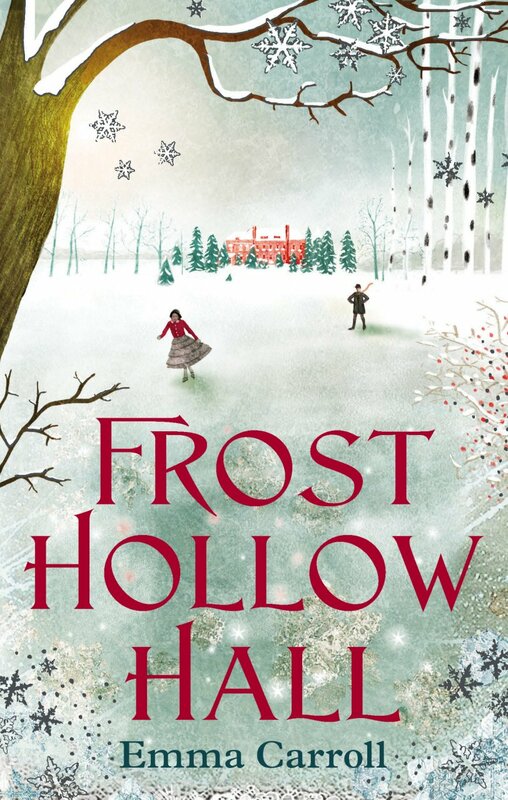 Even though it is a contemporary story (with a helping of fantasy), about a girl called Lucie, and her adventures at home and school, as winter closes in the atmosphere becomes mysterious and magical. The feeling I aimed to create is brilliantly evoked in this illustration by Emma Chichester Clark. Its fascinating to see that even in these days of central heating and cars chauffeured by mum and dad, where bad weather might seem just a passing annoyance to children glued to screens, winter has maintained its magic charm. 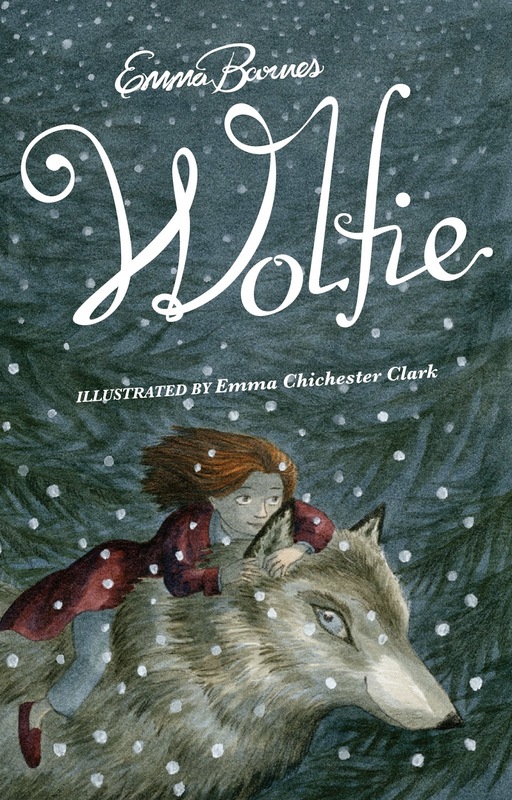 The Wolf Wilder by Katherine Rundell and Frost Hollow Hall by Emma Carroll are two recent books which use winter – and its motifs of snow, woods, magic and wolves - to work their magic. I'm planning to curl up with one or other of them when the long, dark nights draw in. What is your favourite winter read? Definitely The Dark Is Rising of this list! We don't get winters like the ones in these books, not in Melbourne! Not often in Buckinghamshire either, but then when SC was eleven it was 1947, a very long, cold winter - I think she may have been harking back to that. And also to Masefield, for sure! Lovely post, by the way! You've got a lot of my favourites there, Emma. Especially 'The Dark Is Rising', which I've read more times than I can count. 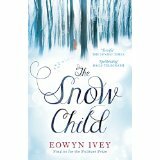 Keep meaning to read 'The Snow Child' too - it sounds intriguing. 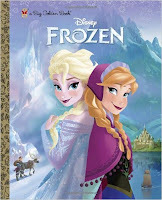 I agree with you - I like books which feature snowy landscapes, but I'm not a great fan of our damp and dreary winters! 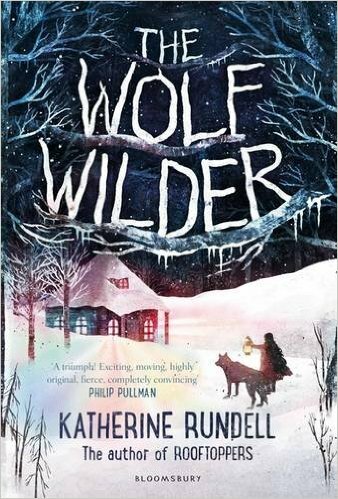 I'm glad you included The Wolf Wilder - Katherine Rundell does cold and snow amazingly! 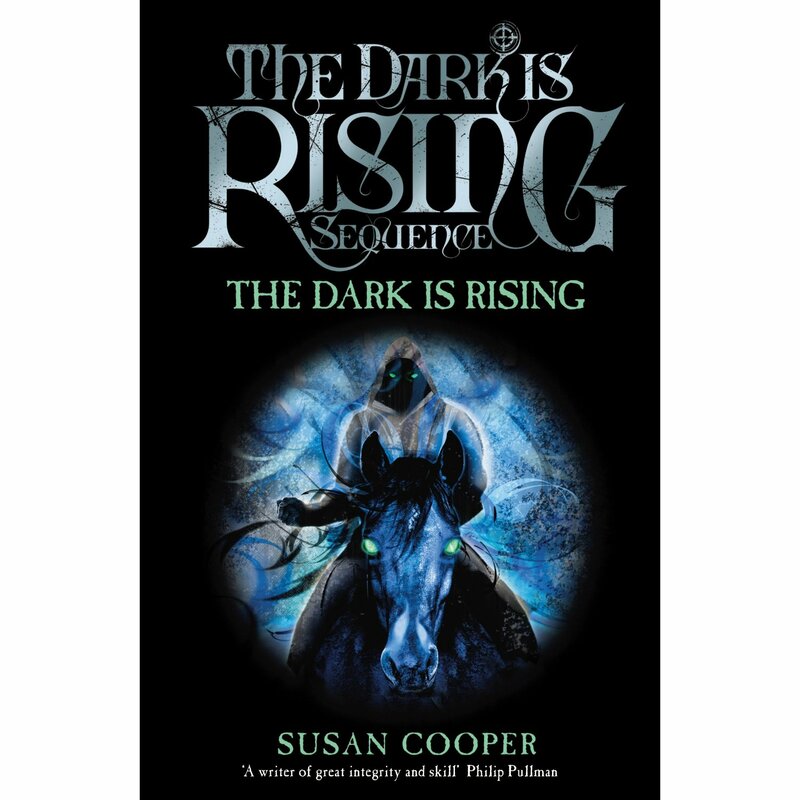 The Dark is Rising definitely seems to be a favourite - is it still as popular with children now, does anybody know? 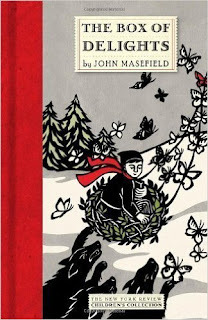 I found it by far the most powerful of the five books, and I think a lot of that is due to the wintery setting which Cooper uses to spine-chilling effect: the scene where the rooks smash themselves against the skylight, which collapses under the weight of the snow, had me diving under the covers as a child reader. Now when I am reread it, I also feel a sense of wistfulness - for a rural setting which must have changed completely in the following decades. I think Cooper has said that she was inspired by homesickness - and presumably nostalgia - when she wrote it, and how interesting that her own eleventh year was a famously bad winter. Some lovely titles here, Emma. Thanks! 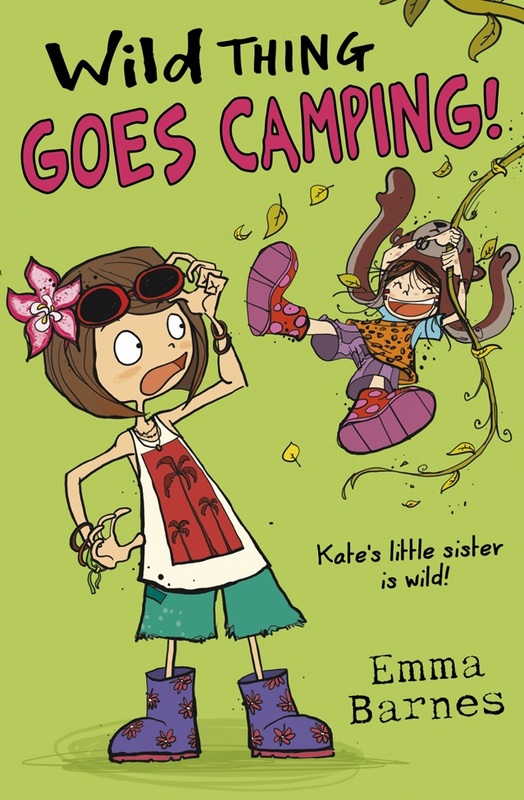 To answer your question, Emma, I am assuming it's still being read because it's still in print, but to be honest the copies on my library 's shelves aren't being picked up these days. And I'd be happy to promote it, only the kids keep asking me what's new. Tastes change over the years and turn they come back, full circle. Perhaps a new cover will help. Lovely post! You're so right about the magic of fictional winter... I loved The Box of Delights, and The Dark is Rising, but haven't really been able to interest my children in the sort of classic children's fiction that I enjoyed. When I go back to them now, I can sort of see why - the language is far more complex (structure of sentences, slower pace of events unfolding, more description), and the editions have much closer typeface, smaller type - I think children's books now are designed to be more accessible and mostly written in a more 'natural' conversational voice, often with first or very close third person narration, and maybe one consequence is that older children's fiction seems difficult, and it takes too long to get into the story... I do think kids now just have a shorter attention span than we did - I look at the things I read, and I can never imagine my children (who were just as skilled readers from an equally early age - the first two, anyway) ever having the patience to get through them. Maybe it was all those long English winters with very little television and no electronic media!! You may be right, Celia. The Wizard of Earthsea is another book where the language and description seems much more dense and difficult than modern equivalents. But I think there are fashions in prose style, like anything else...I expect there may be a swing back at some point, as Sue says.